At Lakeside Dental, helping our patients retain the best possible oral health moving forward is our top priority. Whatever we can do to make your mouth as healthy and clean as possible for the years ahead is exactly what we intend on doing. With that said, there is only so much that can be accomplished within the short span of your dental visits. Even if you come in twice a year for a checkup and cleaning, that leaves the other 363 days where you are on your own. By developing your own positive oral health habits, you can greatly reduce the chances that you will wind up with an uncomfortable or unsightly condition. One oral health issue that you would love to avoid is gum disease. Those who do suffer from gum disease may find that their gums are tender, they bleed easily, and they lead to loose teeth and/or painful chewing. Fortunately, many individuals can steer clear of gum disease simply by keeping up with good oral hygiene habits. In this post, we are going to take a look at some of the simple steps you can take to position yourself for a gum disease-free future. If there is one thing you are sure to hear from your dentist over and over again, it is that you need to brush your teeth regularly in order to maintain good oral health. Twice per day is the standard for brushing your teeth, and with each brushing, session recommended for just two minutes, that’s a total of four minutes in a whole day. You can do it! The investment of four minutes per day is likely to pay off in the form of better oral health for a long time to come. Not only does brushing your teeth do wonders for the appearance of your teeth, your breath, and the health of the teeth themselves, but it can also help you avoid gum disease. Simply make it a habit to brush your teeth properly for a couple minutes in the morning and a couple minutes again at night, and you’ll be going in the right direction almost immediately. Simply brushing your teeth is a great start toward fighting off gum disease and maintaining a beautiful smile. However, if you are willing to go a step further, you can do your oral health a big favor. Adding flossing to your daily routine is a smart decision, as brushing your teeth alone is not going to be able to remove all of the food particles between your teeth. Flossing can get in there and do a great job, as long as you are willing to stick with it until you learn good technique. Here’s the thing – your oral health is not only about things like brushing, flossing, or even dental work. Sometimes, the biggest thing you can do to work toward positive oral health is to care for your body properly as a whole. What does that mean? For one thing, it means not smoking cigarettes. In addition to greatly increasing your odds of lung cancer, smoking can do nasty things to your teeth and gums. An increased chance of gum disease may not be your top motivation to quit smoking, but it is another item that you can add to the list. Also, eating the right foods is something that can be placed in this category. Eating foods which are high in sugar is going to be bad for your waistline in most cases, and it is going to be bad for the health of your teeth, as well. Work toward an overall healthy, balanced diet and you’ll find that your teeth are among the many beneficiaries of your focus on what is going into your body each day. If you are going to stay away from gum disease, you need to find a way to fight back against the bacteria in your mouth. One option is to add the use of mouthwash to your routine. When finished brushing, simply use mouthwash in accordance with the directions on the container. This will help you destroy some of the unwanted bacteria in your mouth, and it will also help to battle against plaque. Mouthwash alone certainly isn’t going to be enough to do the job, but it can play a valuable role in your overall plan. Finally, we’d like to touch on the importance of regularly visiting your dentist to have your oral health examined and any problems addressed. If you stay away from your dentist for years at a time, you won’t be able to get a professional opinion on how you are doing with your oral health hygiene. Are you keeping up properly? Is there something else you should be doing? Are there any problems developing that you can have addressed before they become more serious? It’s easy to have your periodic checkups completed when you choose Lakeside Dental as your go-to office. We are happy to help you get on a plan of regular visits, so you can stay on top of your oral health and avoid leaving yourself with an issue that takes considerable time and money to fix. The combination of quality at-home habits and the care of an experienced dentist are your best bet for avoiding gum disease. If you would like to steer clear of gum disease in the years ahead, one of the best things you can do is get into good oral hygiene habits right away. 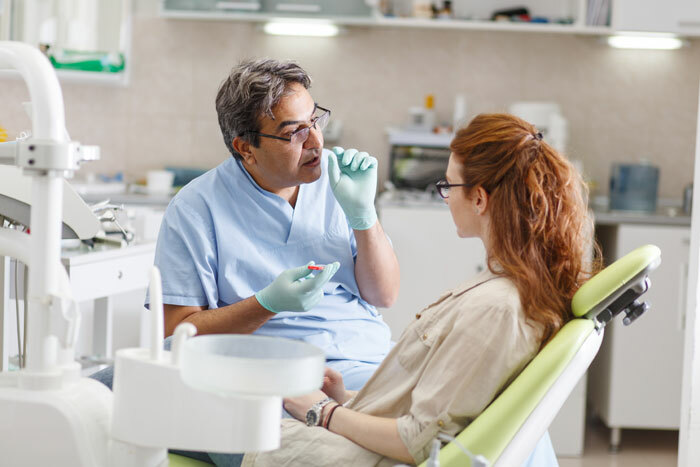 The points listed in this article are a great start, and you can also talk to your dentist to ask about anything else that you can do to stay on the right track. If you would like to schedule an appointment at Lakeside Dental in Moses Lake, or if you have any questions about our office, please contact us right away for assistance. Thanks for visiting!